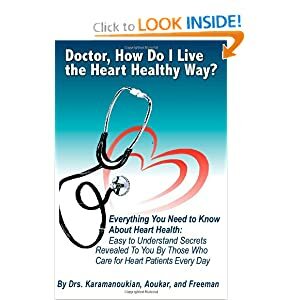 Dr. Karamanoukian has been writing books for physicians and patients since 1997. He has authored 41 books and provides free pdf copies of some of his books to his established patients. Picture of the covers of the books are shown below and 8 books are for board review and copies of borad review books are not available for sharing. 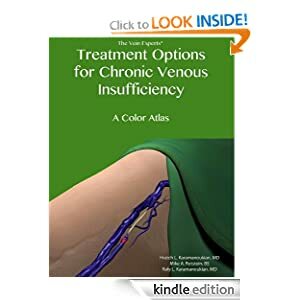 A highly recommended reading for those with venous insufficieny - 'Treatment Options for Chronic Venous Insufficiency - A Color Atlas' by Hratch Karamanoukian MD FACS and Raffy Karamanoukian MD FACS. This book is available at no charge to Dr. Karamanoukian's existing patients as a pdf copy. You can purchase the book for immediate download from Amazon Kindle Books and Nook Books. Read Dr. Karamanoukian's book 'Post Thrombotic Syndrome and Deep Vein Thrombosis' - the book is now available for immediate download on Amazon Kindle and Barnes & Noble Nook Books. for a free pdf copy of the book contact Dr. Karamanoukian through his website www.VeinsVeinsVeins.com - established patients of Dr. Karamanoukian can get a free copy of this book. 'Dr. Karamanoukian's Guide to Horse Chestnut Extract' is available on Amazon Kindle Books and Barnes & Noble Nook Books. This book is written by Hratch Karamanoukian MD FACS and Raffy Karamanoukian MD FACS. For those suffering from aching and pain in the legs, heaviness, tiredness, fatigue of the lower extremities, throbbing and swelling of the legs and ankles, it can certainly be a hurdle in life. It can lead to a loss of physical activity, force you to give up activities that you love and even keep you from getting the exercise that you need to remain healthy. However, it can also be a sign of a serious disease – venous reflux disease, also known as venous insufficiency. 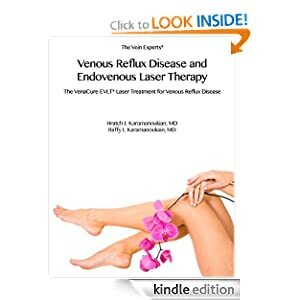 Venous reflux disease affects an enormous number of people in America and around the world. This painful, debilitating condition can develop without you even knowing it. Moreover, it can result in some very serious problems, including skin discoloration and in some patients, left untreated, can result in the development of venous stasis ulcers. The lifetime risk of developing venous stasis ulcers in a patient with venous reflux disease is 4%. 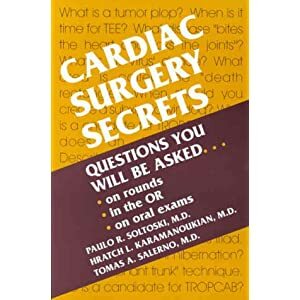 This book was published in conjunction with Dr. Tomas Salerno, currently Chief of Cardiac Surgery at University of Miami with world renowned contributors. The book was updated for a 2nd Edition (see below). Dr. Hratch Karamanoukian's book along with co-editors Paolo Soltoski, MD and Tomas Salerno MD was reviewed online. Watch the video review by clicking on the link below. 'Cardiac Surgery Secrets' Second Edition has been Translated into the Russian Language ! 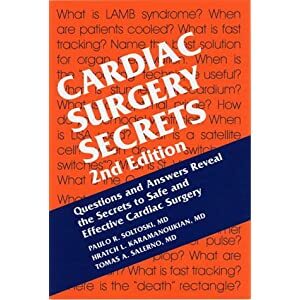 Based on popular demand from Russian speaking doctors in the former Soviet Republics, Dr. Karamanoukian's book called 'Cardiac Surgery Secrets 'has been translated and published in Russian by Elsevier Press. Dr. Karamanoukian has donated dozens of these books to Russian speaking surgeons in Kazakhstan, Kyrgyzstan, Uzbekistan, Mongolia, Armenia, Tajikistan, Belarus, Russia, Nagorno Karabakh Republic and Georgia. Based on demand from Turkish speaking cardiac surgeons, Dr. Karamanoukian's book called 'Cardiac Surgery Secrets 'has been translated and published in the Turkish language by Elsevier Press. 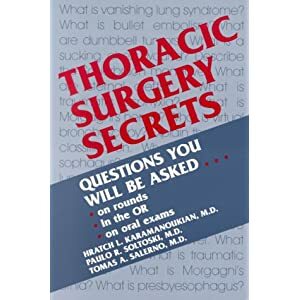 Dr. Karamanoukian's book 'Thoracic Surgery Secrets' has been out since 2001 - it was written for thoracic surgeons, thoracic surgery residents studying for their Board Certification examinations and medical students. It has been translated into other languages and written with Paolo Soltoski, MD and Tomas Salerno MD FACS. Dr. Karamanoukian's book 'Thoracic Surgery Secrets' has been translated into Portuguese and published in South America. The largest Portuguese speaking country in South America is Brazil with a rich history of contributions to the field of cardiac and thoracic surgery. The highly successful and popular book written for thoracic surgery residents and general surgery residents and medical students, 'Thoracic Surgery Secrets', published by Elsevier Press has been translated into Portuguese. Dr. Karamanoukian is honored that Dr. Denton Cooley, who pioneered cardiac translantation in the United States has reviewed his book 'Intraoperative Graft Patency in Cardiac and Vascular Surgery'. Intraoperative Graft Patency in Cardiac and Vascular Surgery details the concepts and techniques used to confirm patency of grafts after bypass procedures. Dr. Hratch Karamanoukian and Tomas Salerno MD FACS, Jacob Bergsland MD FACSand Giuseppe D'Ancona MD, and Marco Ricci MD FACS wrote one of the first books about beating heart coronary artery surgery - 'Beating Heart Coronary Artery Surgery' by Futura Press. 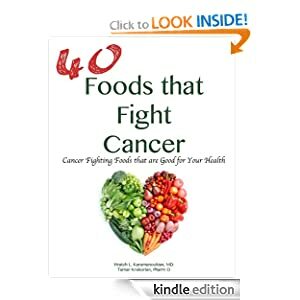 Dr. Hratch Karamanoukian of the Vein Treatment Center and www.VeinsVeinsVeins.com is providing free copies of his new book, '40 Foods That Fight Cancer' which is published in Amazon Kindle and Nook Books. 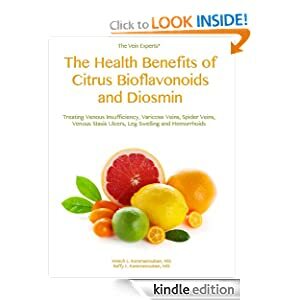 Tamar Krekorian PharmD is a coauthor of this book. Hratch Karamanoukian, MD FACS is Diplomate of the American Board of Surgery, American Board of Thoracic Surgery and the American Board of Phlebology. Tamar Krekorian received her undergraduate degrees from UCLA and Doctorate of Pharmacy from the University of Southern California (USC). Contact Dr. Karamanoukian via www.VeinsVeinsVeins.com to get a free pdf copy of the book. Dr. Karamanoukian wrote an authoritative book about Resveratrol titled 'Harness the Power of Resveratrol' with Zora DeGrandpre MS, ND and Dr. Raffy Karamanoukian MD FACS. Dr. Karamanoukian's existing patients can request a free hard copy of the book upon their visit to the office. Limited quantities of this book are available for distribution. Free pdf copies of this book are available to anyone inthe U.S. or abroad who wants to become a physician assistant. 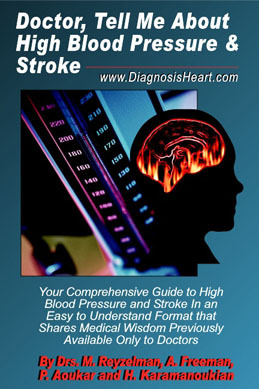 Email Dr. Karamanoukian through his website www.VeinsVeinsVeins.com for your free copy. 'Doctor, How Do I Live The Heart Healthy Way ?' is available in hard copy for Dr. Karamanoukian's patients - ask for a free copy (limited suplies available) when you come in to see Dr. Karamanoukian ! Dr. Andrew Freeman and Dr. Pierre Aoukar are coauthors of this book. Dr. Hratch Karamanoukian has teamed up with plastic surgeon Dr. Raffy Karamanoukian to write the one and only book about Zerona body slimming - 'Zerona Laser - Non Invasive Body Slimming' - The book is available for immediate download on Barnes & Noble Nook Books and Amazon Kindle Books. Raffy Karamanoukian MD FACS, a plastic surgeon who has been featured many times on The Doctors TV Show and Hratch Karamanoukian MD FACS have written the one and only book about Ultheapy Non Invasive Tissue Lifting for the Face, Neck and Eyebrows. 'Hyperhidrosis Expert Series - Excessive Sweating of the Palms' is a book about hyperhidrosis written by Hratch L Karamanoukian MD FACS and Raffy Karamanoukian MD FACS. The miraDry book is available to Dr. Karamanoukian's existing patients for free - contact Dr. Karamanoukian through www.EliminateSweating.com for your free copy of the hyperhidrosis book. 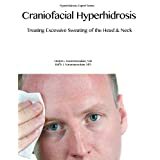 'Hyperhidrosis Expert Series - Craniofacial Hyperhidrosis - Treating Excessive Sweating of the Head and Neck' by Hratch L Karamanoukian MD FACS and Raffy L Karamanoukian MD FACS. 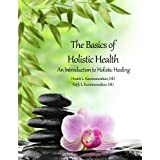 'The Basics of Holistic Health - An Introduction to Holistic Healing' by Hratch L Karamanoukian MD FACS and Raffy L Karamanoukian MD FACS. 'Telomeres, Telomerase and TA-65 - Discovering the Immortal Cell - Cell Rejuvenation and Longevity via Telomerase Activation' by Hratch L Karamanoukian MD FACS and Raffy L Karamanoukian MD FACS. 'Berries are Berry Berry Good for Your Health' by Hratch L Karamanoukian MD FACS and Raffy L Karamanoukian MD FACS is available on Amazon Kindle Books and Barnes & Noble Nook Books for immediate download. Dr. Karamanoukian's existing patients can request a free pdf copy of this book. Cardiac Surgery Board Review, Magalhaes Scientific Press.